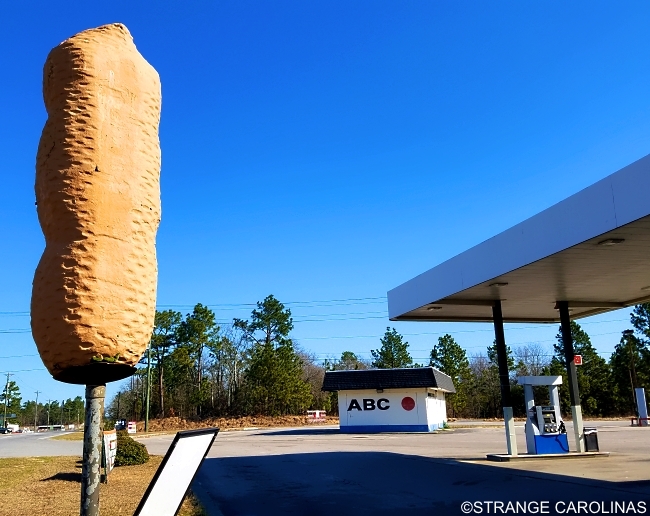 Perhaps you're perplexed by this prodigious peanut? 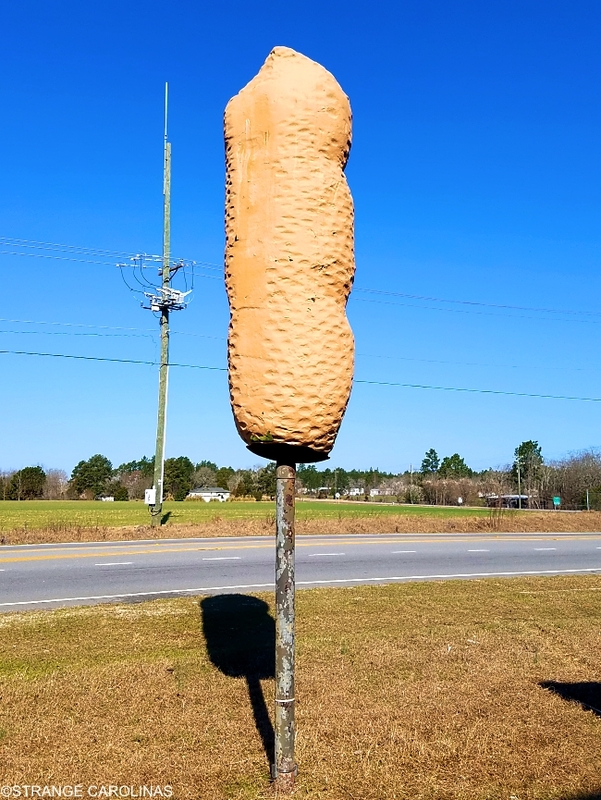 People in Pelion put peanuts on a pedestal. Every year, this place presents the Peanut Party. People can partake in a PB&J eating contest, a parade, plenty of peanuts, and more. This Peanut on a pole provides a perpetual prompt for the Peanut Party.